Most know about the connection to Iowa in Star Trek, with Captain Kirk hailing from Riverside, but surely less are keen on another superhero connection to the state. Nashua born actor Kent Taylor one half of the inspiration behind the naming of Clark Kent, Superman's alter-ego. A handsome bloke, he and Clark Gable merged in the mind of superman creators Jerry Siegal and Joel Shuster in the form of the somewhat nerdy, passive, yet compelling secret side of the Man of Steel. 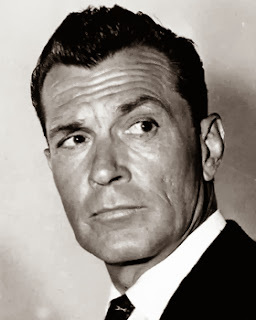 Kent Taylor earned himself a star on the Hollywood Walk of Fame, most likely for his earlier career of leading and supporting roles. Later in life B movies like Satan's Sadists, Blood of Ghastly Horror, I Spit on Your Corpse, dominated his repertoire. Surely the villains in those low-budget horror flicks were unaware that they had a demi-superhero in their midst!